Priced to MOVE! 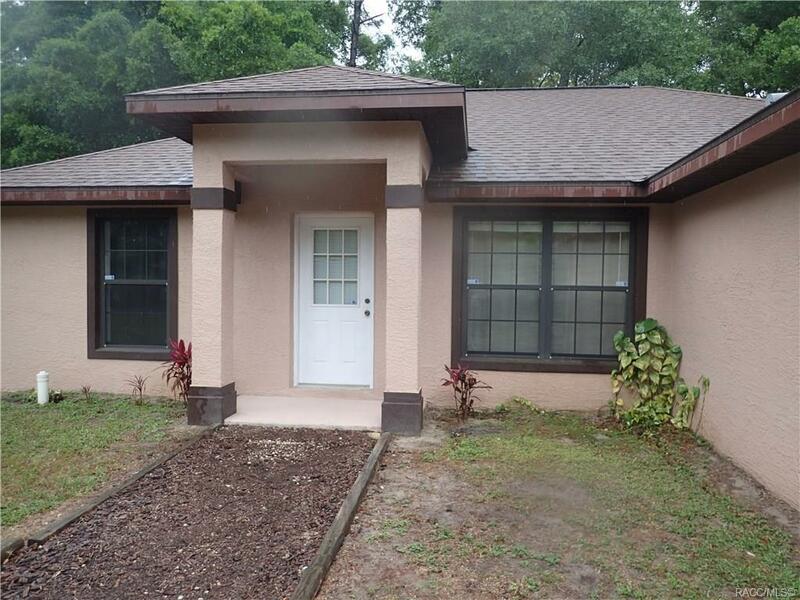 3 bedroom, 2 bath, 2 car garage with ceramic tile throughout! Open floor plan with kitchen offering breakfast counter, pantry closet, dishwasher and large stainless steel sink. Overlooks living room and dining room. Sliding doors lead to back covered lanai overlooking private wooded views. Split floor plan with master offering private bath with walk in closet and tub/shower combination and linen closet. Guest bath has tub/shower combination and divides guest bedrooms with nice sized closets. Washer and Dryer hookups in garage. Water softener system outside. Directions: Us 19 To East On Dunnellon Road, About 3 Miles On Right. Sign By Mailbox.